New year, New Demo Reel! Well, with the new year it was time to update my demo reel, and here it is. You’ll see some work done for TigoboAnimation Short film OA, directed by Renaud Armanet. Plus some scenes from the trailer of Strange Case of Dad’s Missing Head, from Headless studios. The only stuff that I could keep from Planet 51……..
And some of the usual suspects, El cid the Legend and Nocturna. 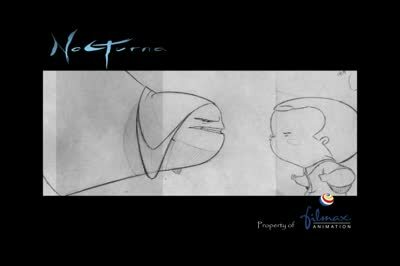 Rough Animation on feature films such as Nocturna, Donkey Xote, Asterix and the Vikings and El Cid the Legend. I’ve done Character Animation and Animation Supervision. All the art work on this reel as been done by Pablo Navarro.